Endorsed by Ilari "Ziigmund" Sahamies! EU based with American players! Collect Gold Cards and win up to $52,000! Very fast and good looking software. Supports notes and player coloring. Player to player money transfers. Good deposit and cash-out options. More high stakes players are needed. PowerPoker is a new, very promising poker site that is covered with the face of poker professional Ilari “Ziigmund” Sahamies. It is part of the Revolution Gaming Network, but looks different and feels different enough to confuse most poker players who have seen other parts of the network. Due to heavy and original promotions and the unique concept of an EU based site with plenty of American players, we will surely see this room grow rapidly because it covers two heavy markets. Large tournaments, super fast customer support, plenty of deposit options, great-looking software, player notes and many other things make this poker room one to recommend to both friends and foes, and it’s also why we are giving this room such a high score. Once you’ve downloaded the 12 MB installation file, you will notice that PowerPoker is uncharacteristically slick with an interface that is easy on the eye and graphics that put most poker rooms to shame. The software is based on the Revolution Gaming, but looks nothing like it with a rounded table, a slightly tilted view and slick buttons. It’s also speedy and reliable, and as far as we know, it has not caused any havoc during tournaments. The only downside of the software is the somewhat messy options panel, but the functionality is still there. You have the option to sit down at a predefined position, select graphics performance, sound options, card colors, hand history settings, auto post blinds, auto muck, wait for big blind options and much more. The table also comes with a very good player notes system which lets you colorize your opponents. This lets you get accustomed with the players in no time. PowerPoker is a fast-growing poker room that currently peaks at 9000 simultaneously connected players, which is enough to satisfy the vast majority of poker players from all the world. The high stakes action is still a “work in progress”. Interestingly, there are some particularly juicy $300/$600 NL Hold’em games going on several times per week. The tournaments list at PowerPoker is always packed, be it just a $1,000 guaranteed or a massive $250,000+ prize pot. With over $5 million in guaranteed tournaments per month, freerolls, bounty tournaments, turbo tournaments and special Gold Chip tournaments, PowerPoker is typically offering far more than other poker rooms of similar size. You won’t find odd poker games here, but regardless, Power Poker supports Texas Hold’em, Omaha Hold’em, Omaha Hold’em Hi/Lo, 7 Card Stud and 7 Card Stud Hi/Lo. The typical variations of these include turbo modes, heads-up games and more. New members of PowerPoker receive a welcome bonus worth a total of $600 with a 110% match. In other words, if you deposit $500, you get a $550 bonus. You can obviously deposit less and receive a smaller bonus if you want to. Pending Bonus funds are earned out in $10 increments based on Frequently Player Points (FPPs) accumulated through real money ring or tournament game play. When viewing your Pending Bonus within the Cashier tab, you’ll find an FPP amount listed under the dollar amount. Those are the FPPs needed to earn out your next $10. To learn more about the bonus, please visit our PowerPoker signup code page. For every played hand at PowerPoker, you receive a so called Frequent Player Point, which in turn can be used for promotions of various kinds. This includes gifts, tournament entries and more. Also, from time to time, Power Poker will offer a reload bonus to its loyal members. Most of the promotions on PowerPoker circle around its famous, reckless poker player Ilari “Ziigmund” Sahamies, a player who has won millions of dollars over the years. The PowerPoker team promises plenty of live action with him, where a lucky few get to face him in real life. But apart from that, you also get a sturdy sign up bonus worth $600, plenty of tournaments, Gold Cards, Gold Coins, and, from what we’re told, a lot more to come. 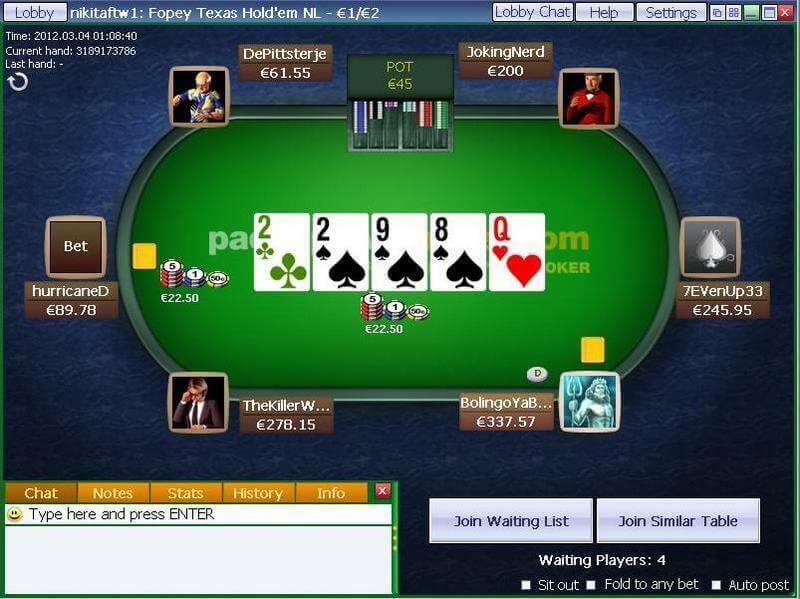 PowerPoker lacks telephone and live chat support. Normally, we don’t hand out full points to poker rooms lacking these options, but PowerPoker compensates this with a superb customer support that, in most instances, will reply to your e-mail within a few minutes. Our tests have shown that the support quality is very good. Deposits: Visa, MasterCard, Visa Electron, Neteller, Moneybookers, Diners Club, ECO and wire transfers. Cash-outs: Neteller, Moneybookers, checks, ECO and wire transfers.